Newly Engaged and Looking for a Sensational Planner? We’ve got you Covered! 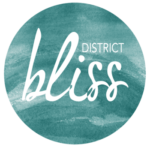 If you’ve been reading our blog for awhile now, probably remember Shalyce Tyson, owner and founder of Sensational Soirees, our fantastic coordinator for the District Bliss Vendor Social held at Roofers Union last September. If you missed the social, you can read all about it and see how fantastic it was here. Everything went so smoothly that we looked at each other and said, “So, THIS is what it’s like to work with a fantastic planner!” Shalyce was our very first planner to take on one of our socials and we were – and continue to be – very impressed with her organization, professionalism, attitude, and sense of style. Sensational Soirees is a boutique event planning, design and invitations company. As the owner and lead planner and designer, I pride myself on working hands-on with each client and really getting to know them to better meet their needs. It is because of this commitment to be 100% engaged in every client’s experience, that I have chosen to maintain a small team that assists with day of event execution and invitations and event stationery. Often times with large companies, clients don’t feel that personal touch, and apart of Sensational Soirees‘ success is connecting with our clients beyond planning. Together with our capable team and top-notch vendors, we are able to manage both small and large events and provide sensational services to our clients. Not only does Sensational Soirees offer event + wedding planning, coordination, and design, but they also offer party decor and favors and invitations. Sensational Soirees is booking the 2016 and 2017 wedding seasons and still have a few slots available. Reach out via email for a complimentary consultation: info@sensationalsoirees.com. My favorite part about what I do is turning my clients’ dreams into a reality. It is the most rewarding feeling after an event, when a client expresses how happy they were with their event or even say they miss me. From witnessing I do’s, to the blowing out of birthday candles, to opening of baby shower presents, I get to be apart of the most special occasions and it is a joy. My clients become like family, so providing my expertise and enthusiasm to execute their vision and make the process fun and efficient is everything to me. To stay in the loop of all things sensational and for event inspiration, subscribe to the Sensational Soirees blog! How did Sensational Soirees come to life? My love for planning and design peaked and took off in 2007 when my hubby popped the question, and we got to plan for our big day. During this time, I was also working for a special events venue, so I fell more and more in love with every aspect of event planning, from menu selection to decor set-up to day of event management; it was all right up my alley. I fell in love with everything from looking for the venue to booking someone similar to this wedding photographer Portland it just felt like something I wanted to do. After my wedding, rather than going full throttle as a “post-bride wedding and event planner”, I felt it necessary to continue my research and training, and delved into party planning for family and friends. I came to find that this career was exactly what I was meant to pursue, and fellow planners, family and friends echoed my sentiments. I established Sensational Soirees in 2012 to serve as a valued source that helps others celebrate life’s special moments and events in a sensational way! Helping the new wedding blossom into some memoriable events, from setting up their venue, to finding music, looking for bands similar to these wedding bands kent to liven up their wedding party. We love the name Sensational Soirees. What was your inspiration? From the start, I knew I wanted soirees to be apart of the company name. There was something special and distinctive about the word soiree that I just loved and felt would add a unique touch. I knew exactly the type of weddings and soirees I envisioned being synonymous with my brand, but putting that description into the company name initially was challenging. Then a light bulb went off and I began searching for synonyms of the word great. When sensational popped up in my search, I knew that was it. Thus, Sensational Soirees was born. Our goal is to make each wedding and soiree we plan and design simply sensational! One of my favorite memories was this summer on the day of our June sensational couple’s wedding. I had been working with the couple for a little over a year, and developed such an amazing relationship with the bride. We just clicked, and working with her was such a treat. On their wedding day, I was helping the bride into her gown, and I just beamed with happiness that her big day was finally here. I was so honored that she took the time in that moment, on her day to present me with the sweetest card to say thank you for helping them “tie the knot” and a special gift to match her sentiment. Looking back on that moment and all of our events always makes me smile and is a reminder of why I started the company and why I love what I do. I truly love all types of events, which is why I wanted the company to provide services for both weddings and socials. By working on a variety of event types, it keeps me sharp and the creative juices flowing. As a wife and mom, weddings and children’s soirees of course have a special place in my heart. This is a featured blog, sponsored by Sensational Soirees.